Now that Thanksgivings over is appropriate to start discussing Christmas? 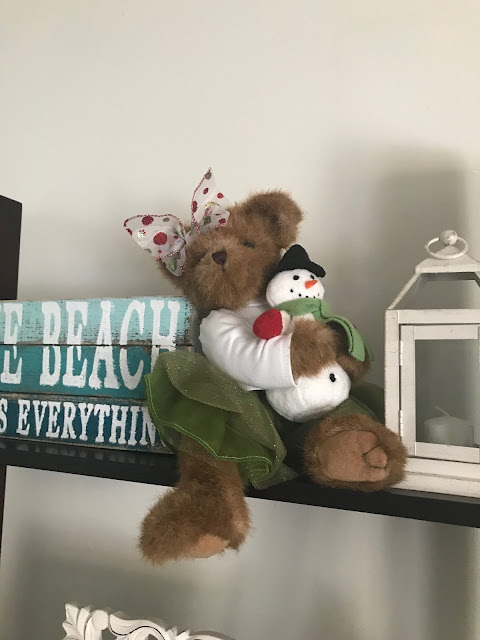 Today I'm going to take you on a little tour of our apartment Christmas decorations. I don't go too crazy with my decorations and am holding off on things like lights and wreaths until we have a house but I definitely try to make our little apartment homey and festive during the holiday season. 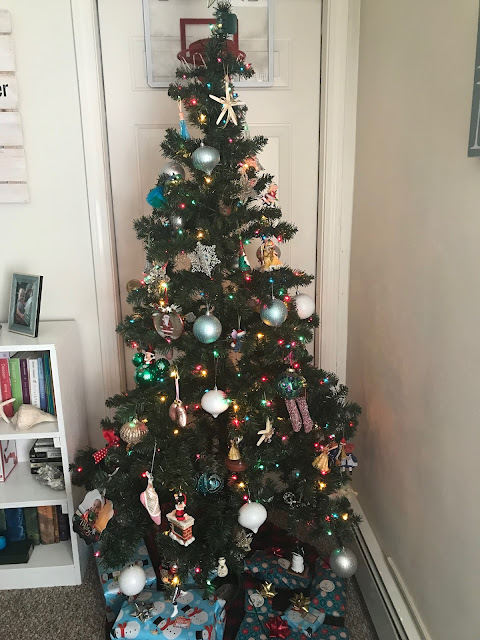 Let's start with our tree shall we? I've even started wrapping gifts! 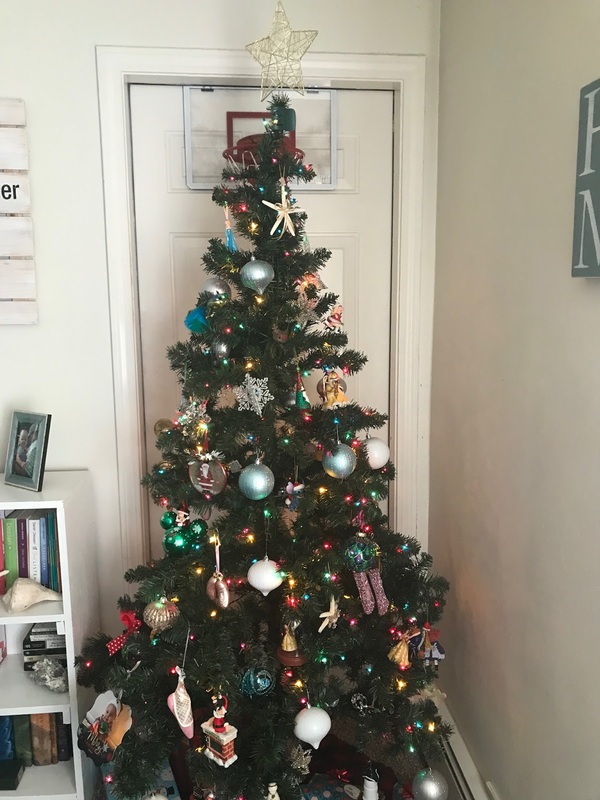 I am not done with my shopping but have gotten a great start and only need to buy gifts for a handful of people which is great! I love our simple stockings that I bought last year from Kohls. 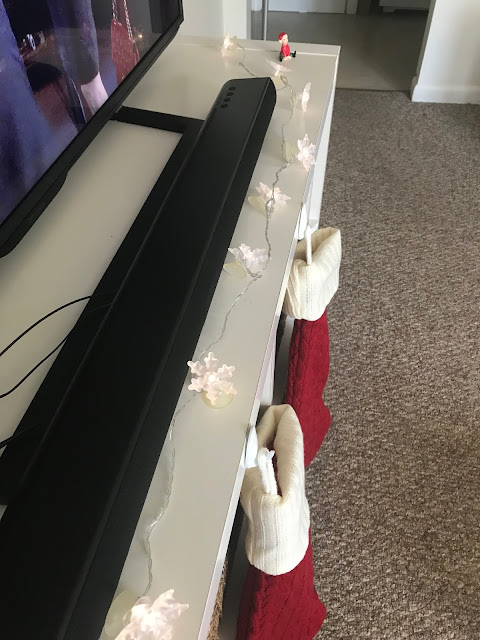 I think they are so pretty and our tv stand works great as a mantle since we don't have a fireplace! 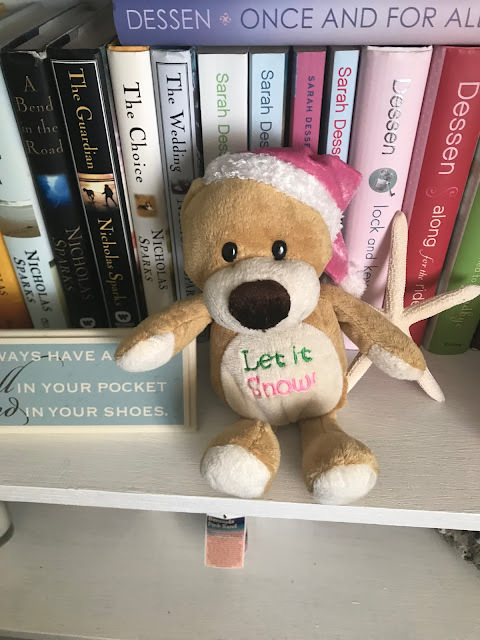 This little elf came from my grandparents house and reminds me so much of my grandma. 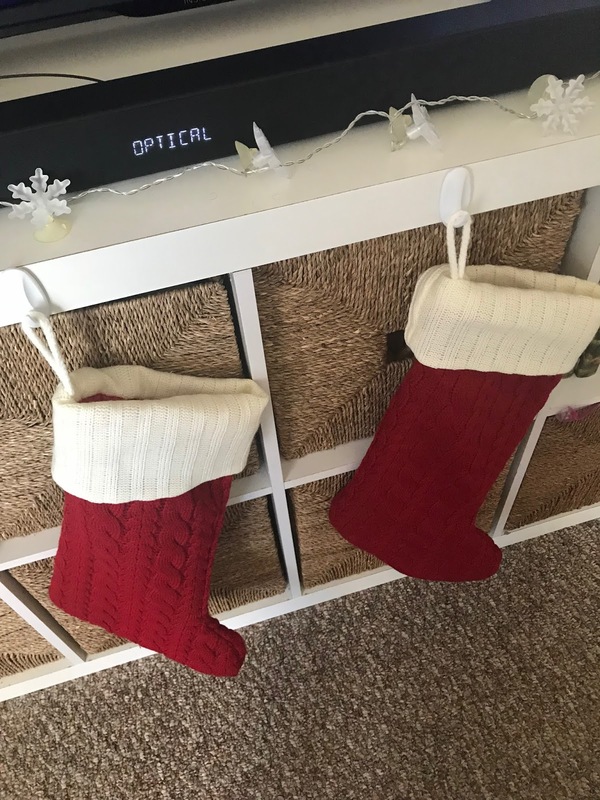 He has a place of honor on our tv stand where he will be seen often. 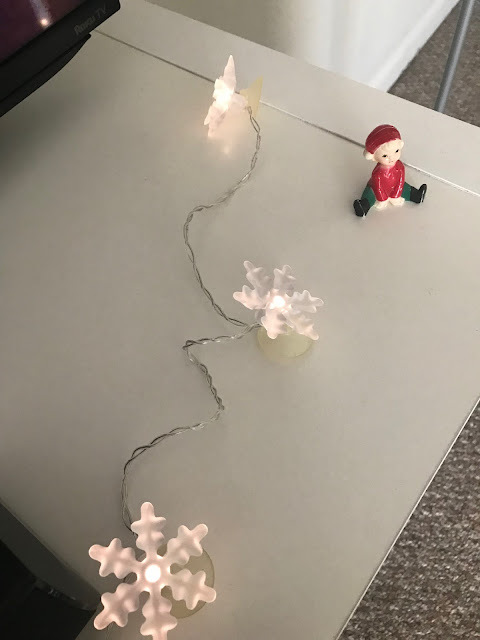 These snowflake lights came from Ikea years ago and are still working with the same batteries! 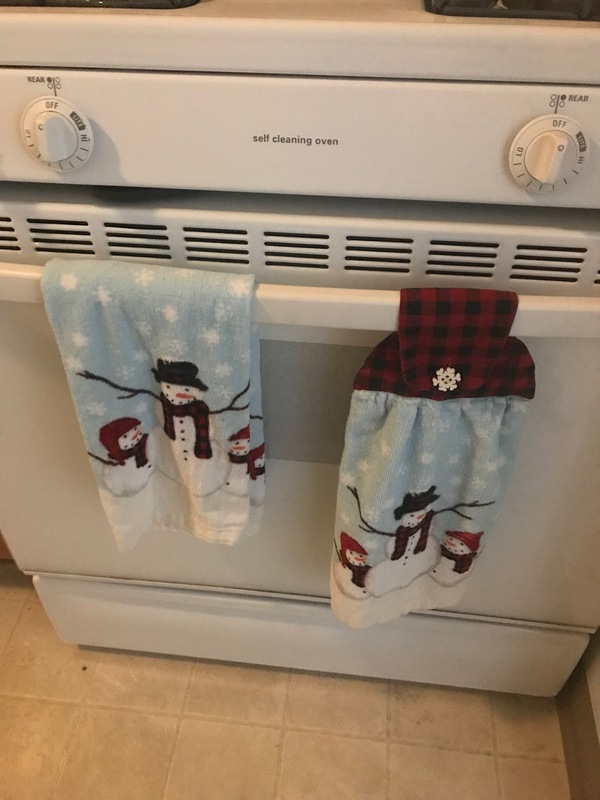 They are a great addition and I think they look super cute. I love changing my dish towels with the season and these snowman ones were bought by my mom last year and I think they are adorable. 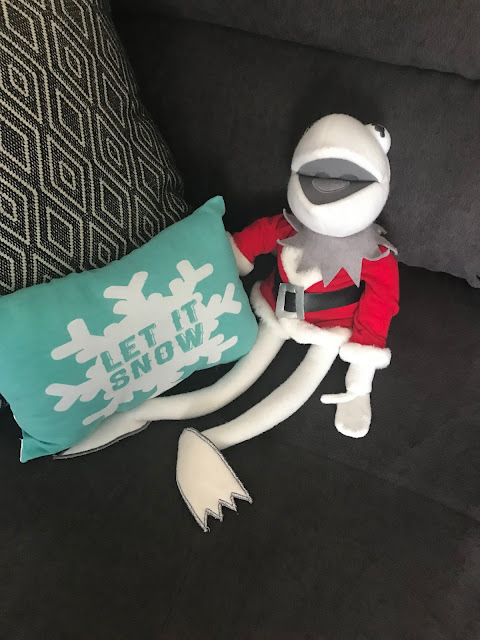 Christmas Kermit sits with my Target dollar spot pillow at the edge of the couch. 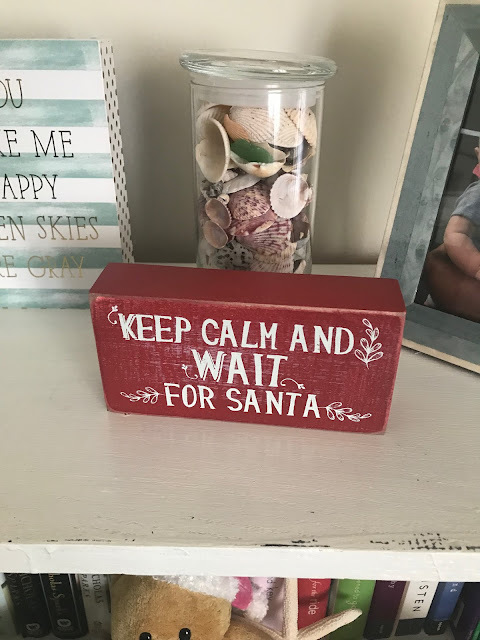 My keep calm and wait for Santa sign is on the top of my bookshelf. This is new from last year and I believe came from Kohls. Lastly, this bear came as a gift from my papas girlfriend Vivian. She knew I liked it from a shop we went in and surprised me with it for Christmas. I think it's super cute! 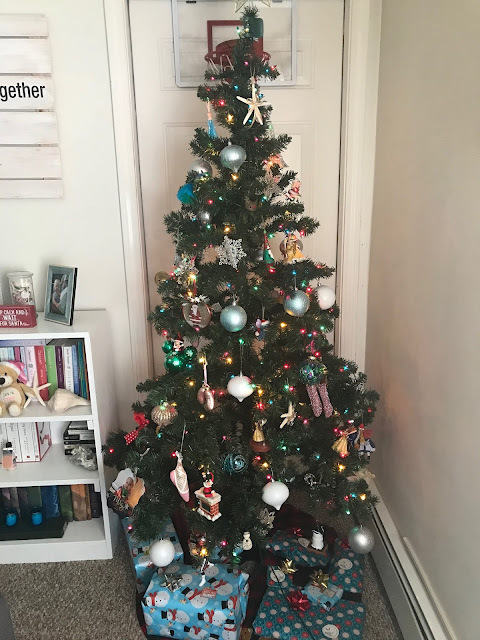 So that's my Christmas decor for my apartment, I hope you enjoyed the mini tour and I would love to see yours- just link it below in the comments!